Despite cease and desist orders issued by the president's lawyers, Michael Wolff's Fire and Fury: Inside the Trump White House is now out and it's the #1 bestselling book on Amazon. If you want a print copy, you'll have to wait 2-4 weeks. But there are some more immediate options: You can instantly snag a copy in Kindle format (price $14.99). Or download it as an audio book essentially for free. If you start a 30 day free trial with Audible.com, you can download two free audio books of your choice. At the end of 30 days, you can decide whether you want to become an Audible subscriber or not. (I definitely recommend the service and use it every day.) No matter what you decide, you get to keep the two free audiobooks. 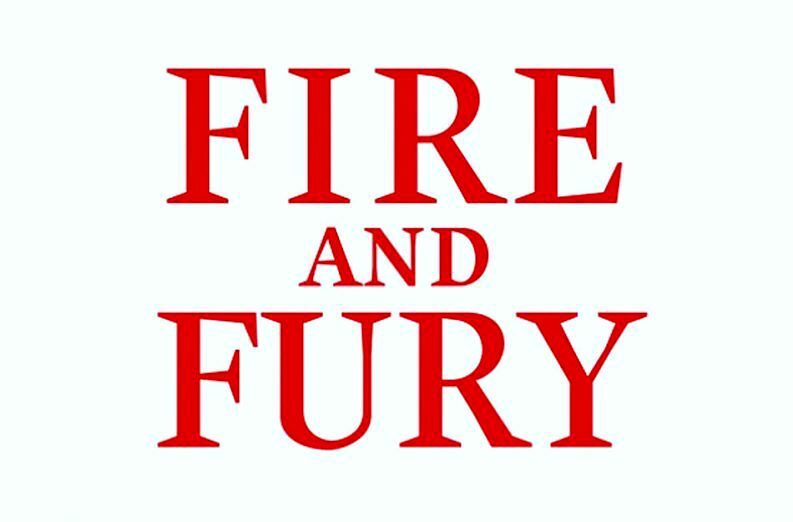 Fire and Fury: Inside the Trump White House can be one of them. It runs 12 hours. To sign up for Audible's free trial program here, follow the prompts/instructions on this page. NB: Audible is an Amazon.com subsidiary, and we're a member of their affiliate program. Also, this post is not an endorsement of the book. (We haven't read it yet.) It's simply an fyi on how you can "read" a bestselling book that's in short supply. Thanks Suzzane, if the audible book is 12 hours long it obviously has a lot of superfluous words. I’ll pass. Why would you not want the unabridged version? Those “superfluous words” were written by the author for a reason. I don’t go to see a production of Hamlet or King Lear hoping that the director whittles it down to a 45-minute production. The devil is in the details as are the meatiest parts. Our president can’t be bothered with long, difficult documents; don’t follow his lead. Let me see if I got this right … I have to join Audible before I can download the ‘free’ copy? Me too. I don’t want their subscription. Better to just buy the book…not like it’s $100 plus, like a textbook for college…. Yes! Yes! We must spread the word of sensationalism to further the resistance! Just stick to stories of the odd artist or writer, Open Culture. You’ve already proven yourself to be TERRIBLE at pop culture politics. Wait. So does this mean the “Russian collusion” narrative is over?? So now we are switching to the “Trump is crazy” narrative?? We need a central source for information so all of our fellow insane liberal brothers and sisters can keep on the same page. On reflection, I guess the “crazy” narrative is better because it doesn’t actually require any facts or proof. >> …..if the audible book is 12 hours long it obviously has a lot of superfluous words. I’ll pass. Apparently you’re not one to read too many books in general, much less listen to audiobooks. Suggest you go to your local library and get acquainted with incredibly vast amount of reading available to you. Yeah, some books are digestible in a few hours but there are countless numbers of books out there that will engage your mind for weeks or even months. Lol….already, snowflake agents here advising against this free download….ffsake, get a life Sit on bannons trump lap. I am already a member of Audible but your info indicated it was a ”freebie” and I don’t want to waste a credit on it. I have used other free books on your sit an they were just that. It appears that we have bots or ignorant people that have not, nor do not want to read the book. Just make derogatory comments. I was under the impression that we were looking at this page to find out about a book, not puss others off with bias!